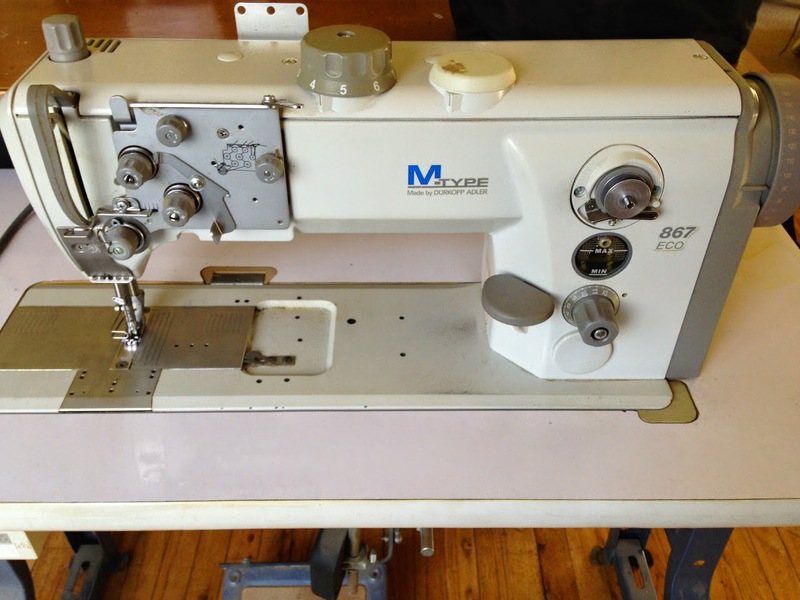 My quest for the perfect industrial sewing machine ended when I found an Adler 867 on Craigslist. 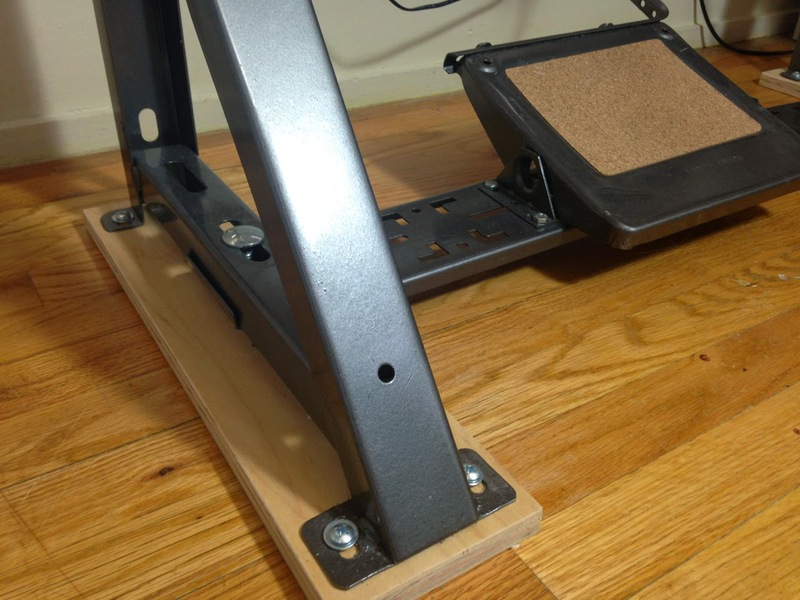 It is classified as a triple compound walking foot machine meant for Upholstery. 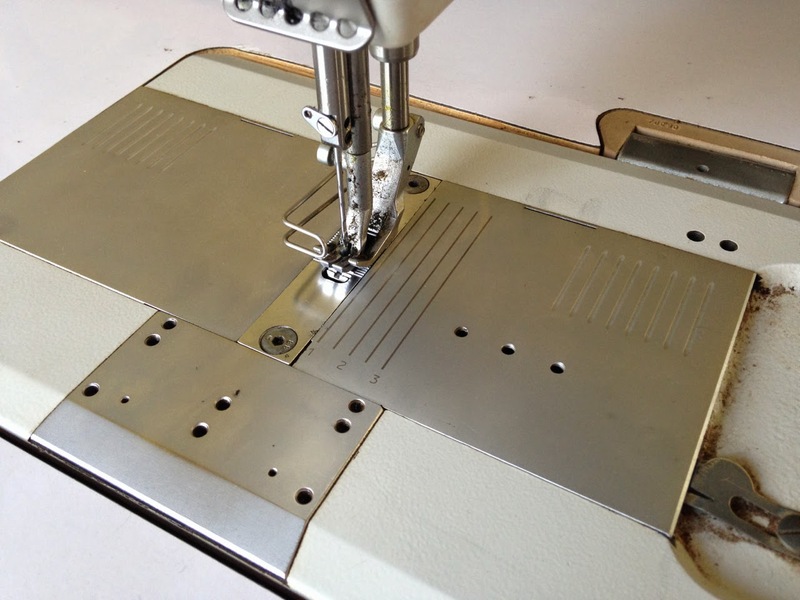 Triple compound means it has a regular presser foot and a walking foot, PLUS the needle & feed dog move forward/backwards together while stitching – it is the best way to ensure your stitches are even and uniform for thick projects. 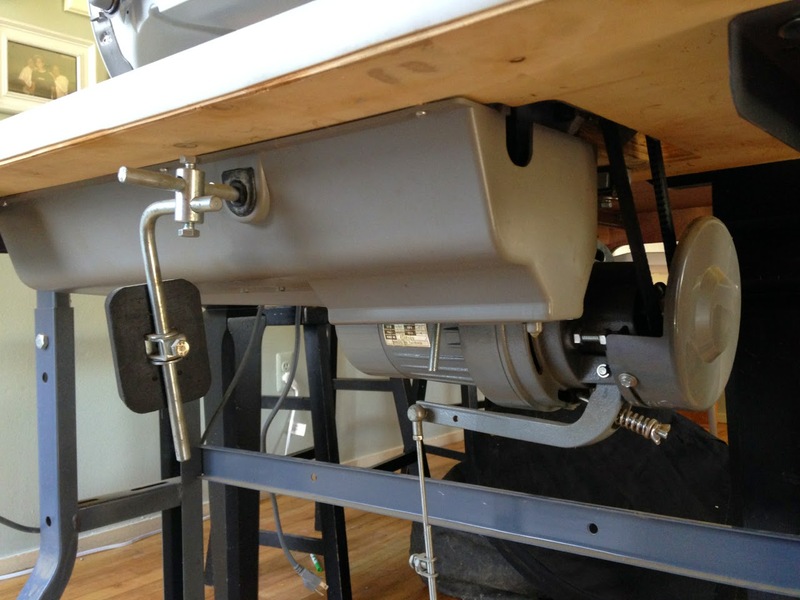 The machine is pretty fancy too with because it is self-lubricating – you fill up a “tank” with machine oil and it is distributed to different areas of the machine using a wick system making it pretty much maintenance free (except for routine cleaning). I was very surprised the first time I saw it – it was HUGE!!! My heart stuttered a little as I sat down to test it out – I had no idea what I had been missing out on! The machine was dirty and there were cobwebs and dog hair all over but most people don’t baby their machines like I do. The guy used it to sew with waterproof thread that had a wax coating and it left a white goo everywhere. Another thing that stood out to me was the clutch motor. 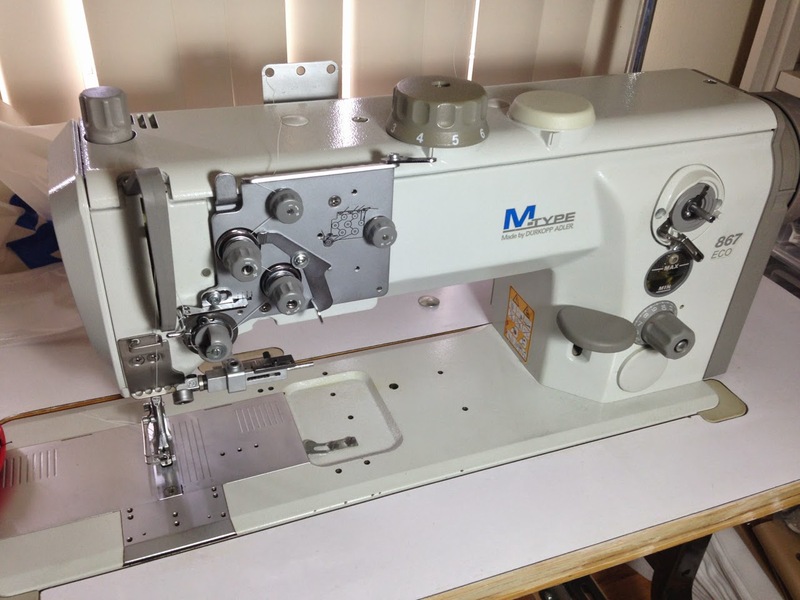 It was really noisy and very difficult to sew slowly. I knew right away I’d be buying a servo motor. 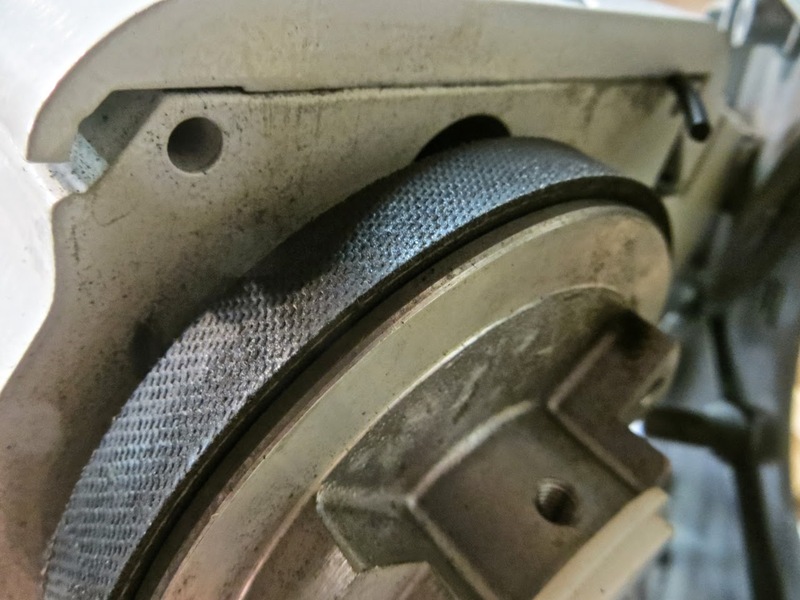 He also mentioned that he had replaced the main belt from the machine to the motor with an automobile belt. It worked, BUT I could hear that it was rubbing on something inside which I’d also need to look into. Getting the machine into my van and back home is a story in and of itself (I’ll spare you)… let’s just say it was VERY difficult and scary! Once home I got to work. 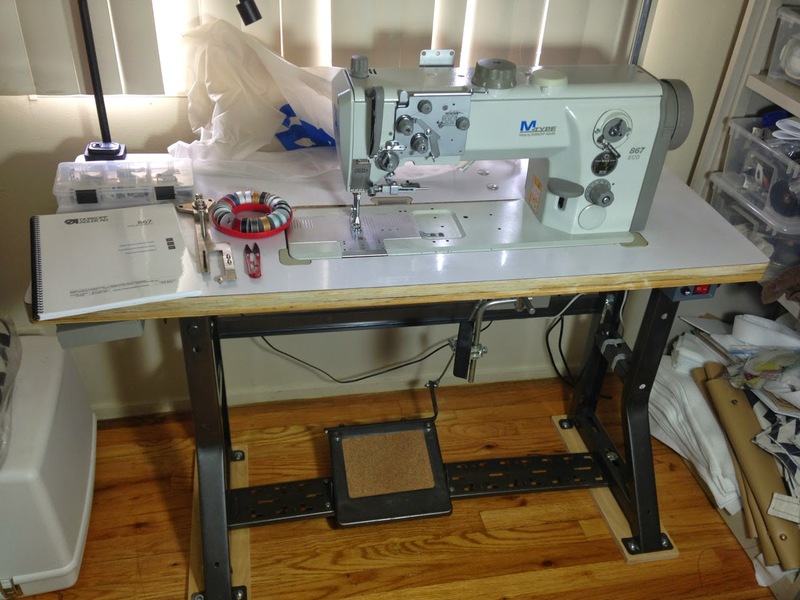 The first step was to take the machine out so I could work on the table (notice how dirty the legs are). The head of the machine is soooo heavy you wouldn’t believe! 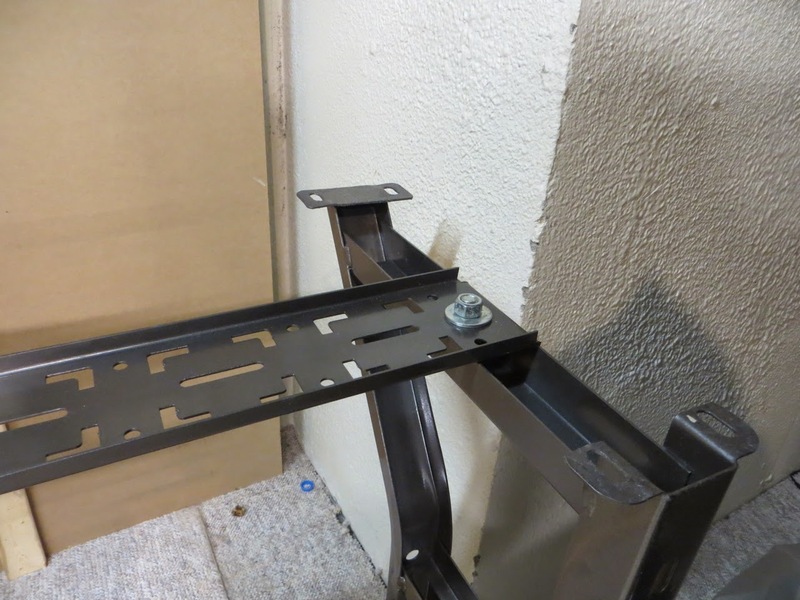 I took the table top off and got all the metal leg pieces separated and spray painted them to look brand new. 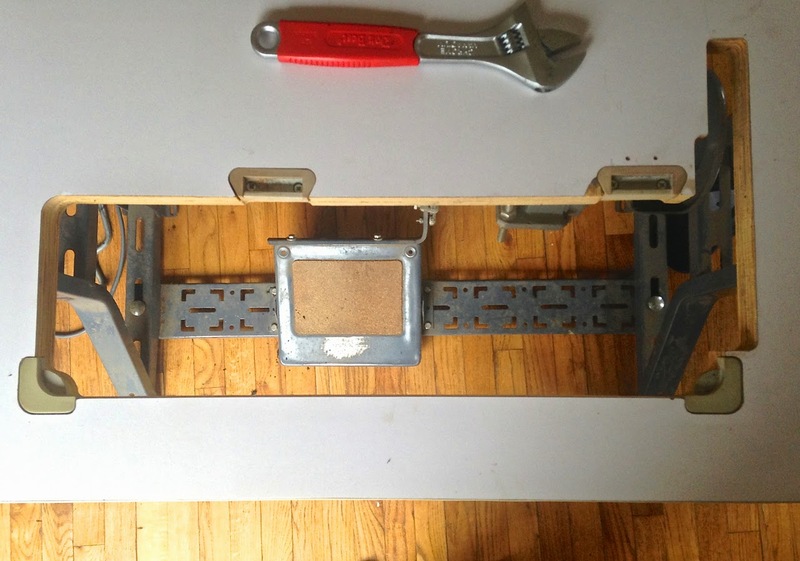 …so I screwed some plywood “skies” to each leg. I also glued on a new cork pad on the pedal since I scrapped the old one off to paint (and it was nasty, of course). I drove down to Toledo Industrial Sewing Machine shop and purchased a servo motor (and big cones of thread). 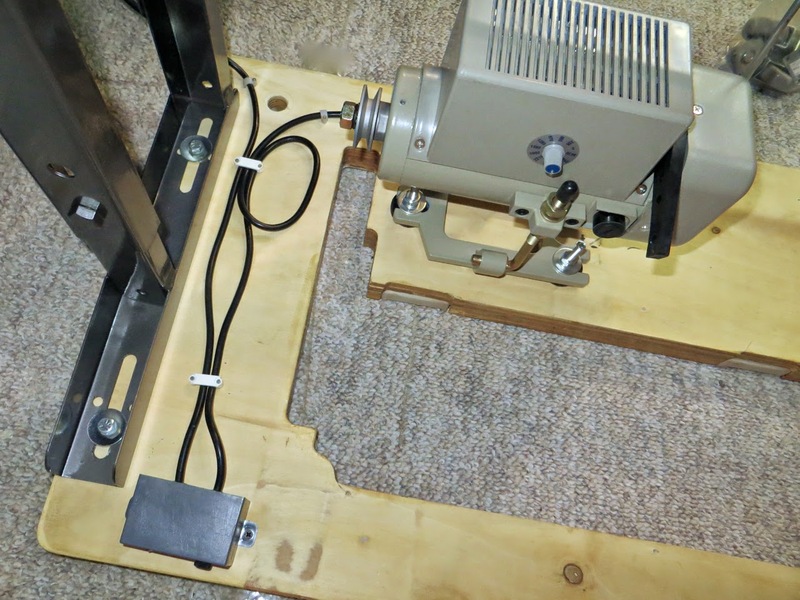 It took a while to make sure it was bolted onto the table in the correct position (and later I had to add a block of wood underneath once the machine head was on so the belt would be in exactly the right position)… all in all it was pretty easy to figure out. I took off the nasty rubber bumper that went all around the edge of the table because it was peeling off (you can see it in the first few pictures). I like the look of the wood anyways. I did have to fill in a lot of crevices with wood filler and sand it down. 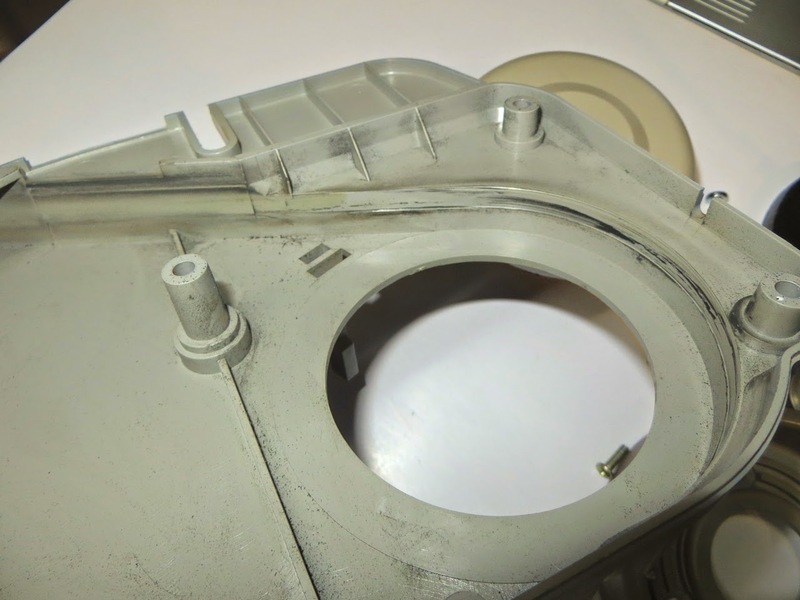 I also cleaned up the machine well with rubbing alcohol by taking all the pieces off that I could so I could get in between as many crevices as possible (it was REALLY dirty)! …and was rubbing on the plastic cover that went over it. 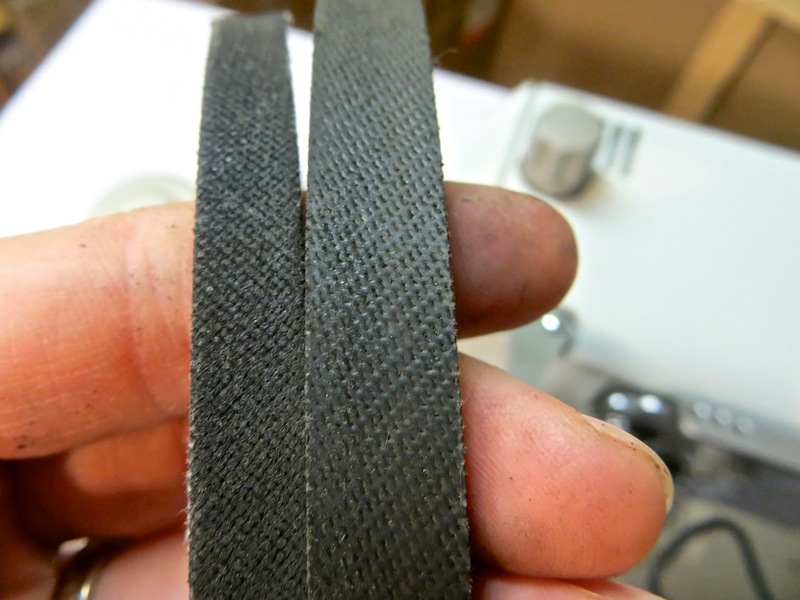 I got a new belt (left) and you can see how much narrower it is. It fit perfectly! 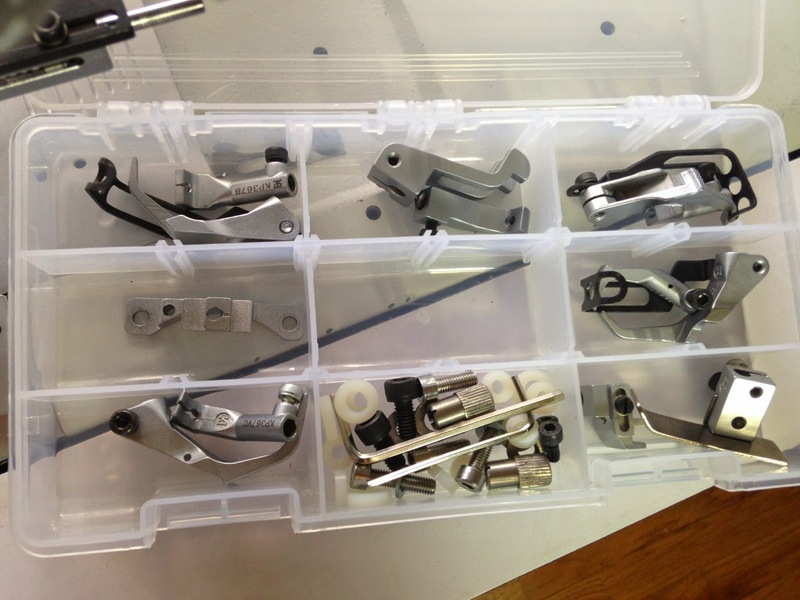 …and various presser feet from Kwokhing. They don’t have many parts for my particular model but I got away with buying feet from other models and they fit. I also got some binders customized and some parts for the binder arm (it didn’t really end up fitting well in the end after many months of waiting but I knew it was a risk anyways). 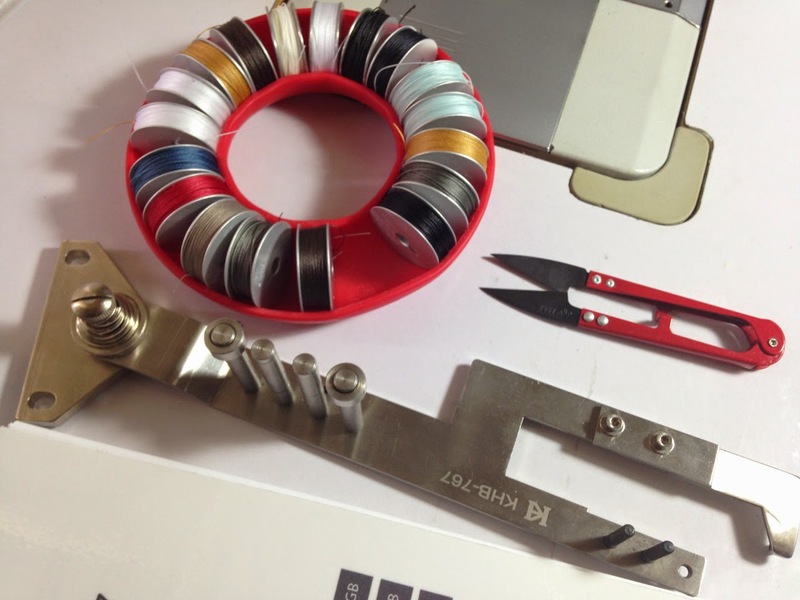 I contacted Adler to see how much a binder arm would be and they said $1,200 and that didn’t even include the price of the individual binders or feed dog/presser foot! I got all those from Kwokhing for around $200. They have awesome prices and high quality products (though, I wasn’t impressed with the LED lights I bought). 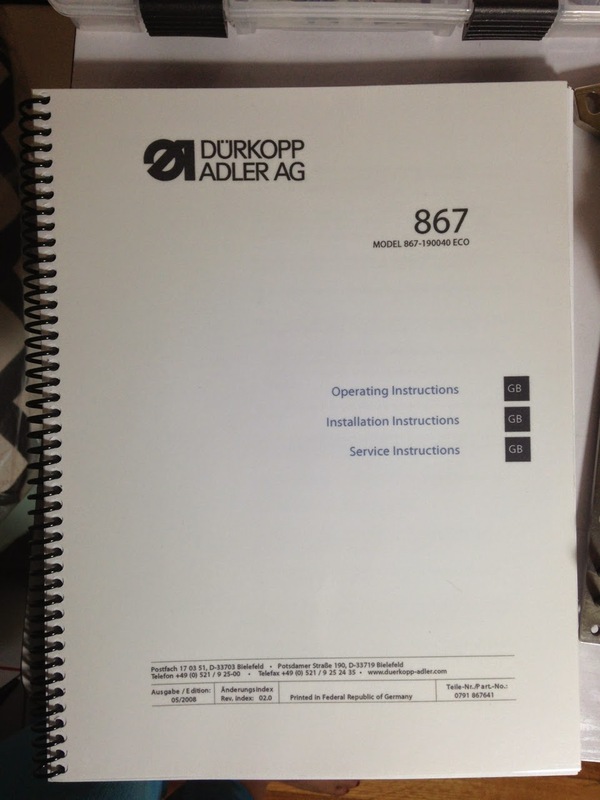 To finish everything off I found manuals and instruction books online and bound them all into one book. 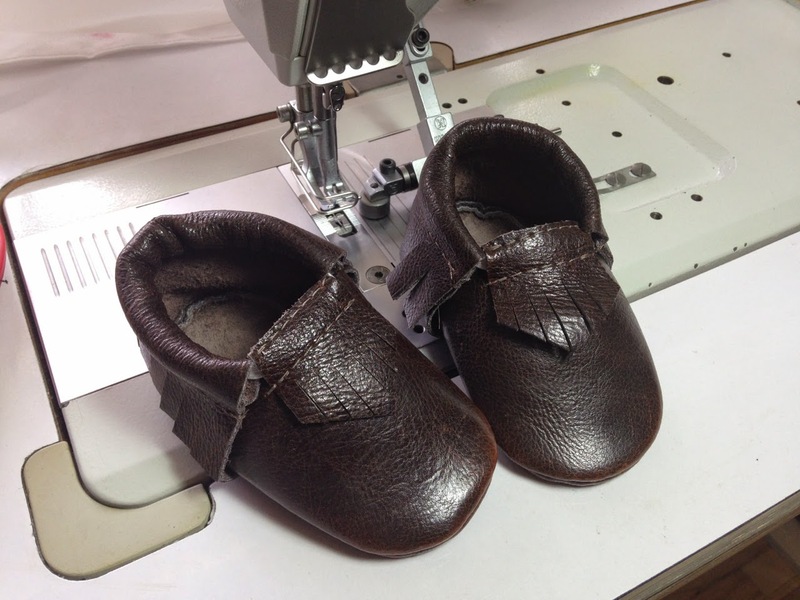 My first project was sewing these little leather baby moccasins! Of course the real reason I bought the machine was to make these mommy purses. 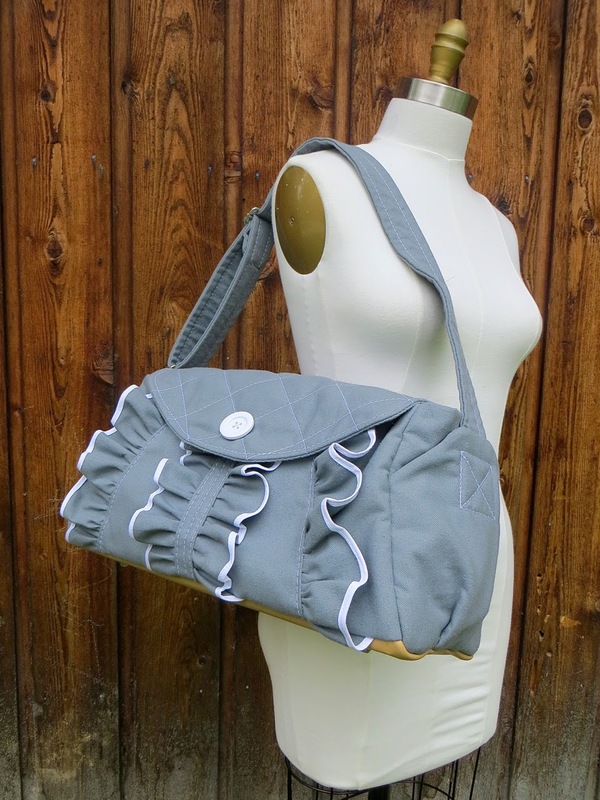 It was such a joy to sew on and makes the finished product nicer and more durable with the thicker thread. Pedestal Table Refinished – It’s Easy! Wow amazing review! I haven't connected with my 867 as you have, but hoping to this year. I enjoyed my Adler 205-370 more. The controls felt easier to operate. 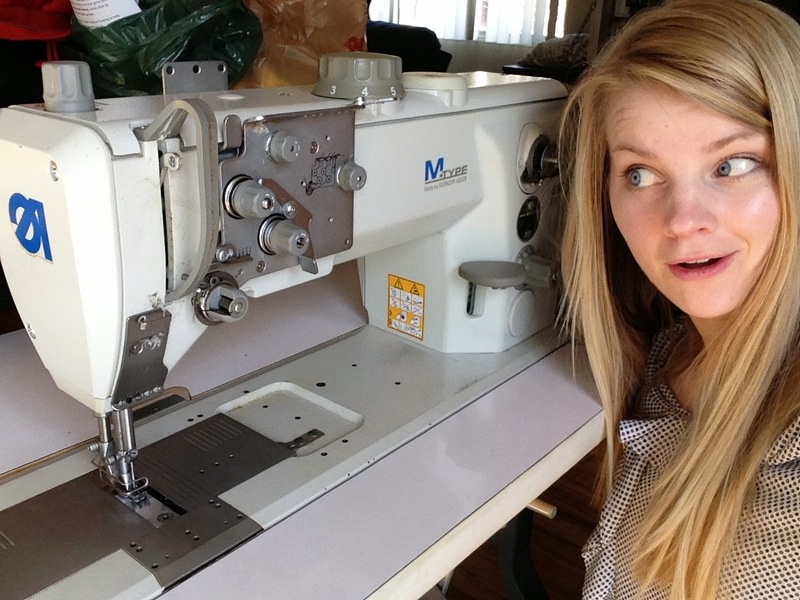 But seeing the amazing products your making I feel inspired to try again!